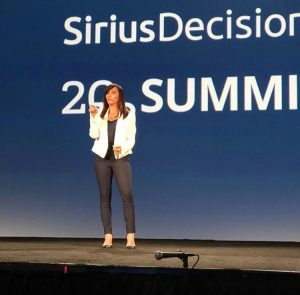 Molly Bloom recently took the stage at SiriusDecisions Summit 2018 in Las Vegas to tell her personal story about how she harnessed the power of storytelling throughout her vast career to live an extraordinary life. 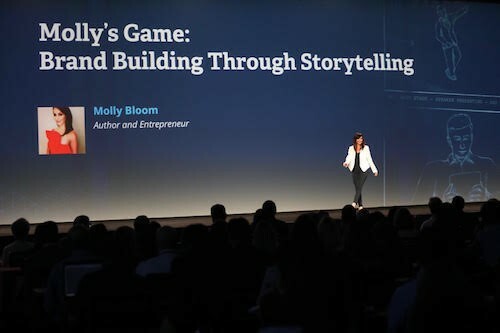 By now you’ve seen her movie written by Aaron Sorkin, Molly’s Game, but that’s only a chapter in Molly’s strategic storytelling. 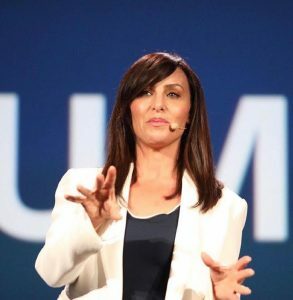 Molly has branded herself and her businesses through the art of storytelling. Whether you know it or not, you have a story in you waiting to help you brand your business, your book, or even yourself. Take Molly’s example and write your story with a great ending in mind. Molly grew up competitive skiing the Rocky Mountains of Colorado, and although you may know her as the woman who dominated the poker world, she actually first made a name for herself in the cut-throat world of professional skiing. As a young girl, she was diagnosed with severe scoliosis that doctors said would end her ski career. She thought otherwise. Her determination helped her fight through painful surgeries and an even more trying recovery period. Her unwavering self-actualization carried her to the U.S. ski team where she ranked third in North American Moguls. She was on the up when a particularly bad fall made the scoliosis pain unbearable and ended her skiing career before she could take on the Olympics. It was then that she needed to rewrite the story of her life. Everything she had worked so hard for—her vision of greatness, the legacy she saw herself leaving—was gone. She recommitted herself to greatness within a new narrative. She moved to L.A. and took a job as an executive assistant to learn a new trade from the ground up, rebranding herself in a new, corporate world. After moving to L.A. her new narrative took form in the elusive world of underground poker. 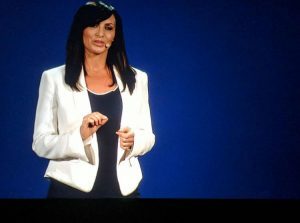 It didn’t take Molly long to learn from her boss the nuances of hosting high-end, high-stakes poker games. When she finally broke free from her oppressive employer and started her own poker ring, she used storytelling to make a seat at her table the most sought-after experience in L.A.
Molly knew the men attending the games were rich and powerful enough to get whatever they wanted, so what do you give people who already have everything they want? She gave them an experience. She made every player feel like 007, surrounded by beautiful women, their favorite everything on hand, their whims predicted. She turned her poker games into a luxurious escape; a seat at her table meant you could be anyone for the night. She branded her poker business by creating a story where her players were the protagonist (or antagonist if they so wished) in a fantasy world centered around themselves. It was a change from the dingy, underground poker rings most players were used to, and it was so successful it attracted stars like Leonardo DiCaprio, Ben Affleck, A-Rod, and others. But it didn’t last forever. Due to some reckless decisions on Molly’s part (all of which she sees as lessons for her future career), the federal government took down her poker game. After her poker business was brought to an abrupt end—and her federal indictments were resolved, she was left penniless with a seemingly tainted reputation. 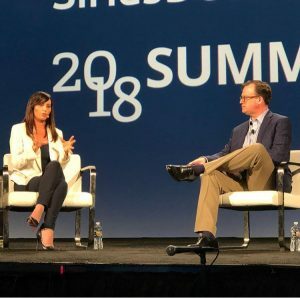 Instead of shaming herself into believing her path to greatness was ruined, she rewrote her story again… this time with the help of Aaron Sorkin. Molly looked for the silver lining, and even though it looked silk-string thin, she found it. She had built herself up in L.A., did it again in New York, worked with some of the biggest names in film and sports, been threatened by the mafia, and federally indicted. She had her story. 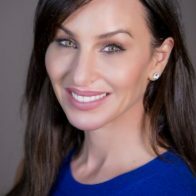 In true entrepreneurial fashion, she took what felt like her last resource and turned it into a new career as an author, entrepreneur, and speaker. Her book was adapted into an Oscar-nominated film written by Aaron Sorkin. Once again her path to greatness was wiped off the map by life’s mudslides, so she trekked into new territory and rebuilt anew to make her mark on the world.